Potential 4 bedroom home in the country on just over 1 acre. 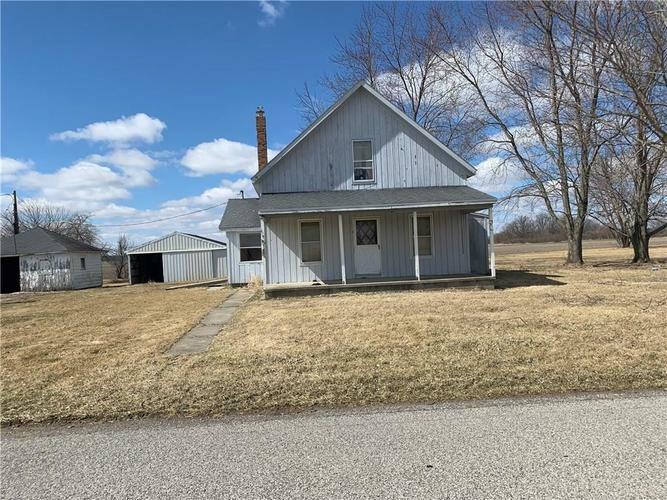 Home offers enclosed porch, 3 outbuildings, views of farm ground, yet it is just right off of SR 32 for easy access! The home is in need of a full complete rehab, but has excellent investment potential. It was recently occupied, but should have repairs made before moving in. Directions:From Indianapolis Avenue and Baseline Rd (IN32), go East on Baseline Road to CR N 500 E. Turn North. Property will be on the West (left) side of the road.